Last month, the TradeWinds Island Resort invited a few bloggers to just let go. 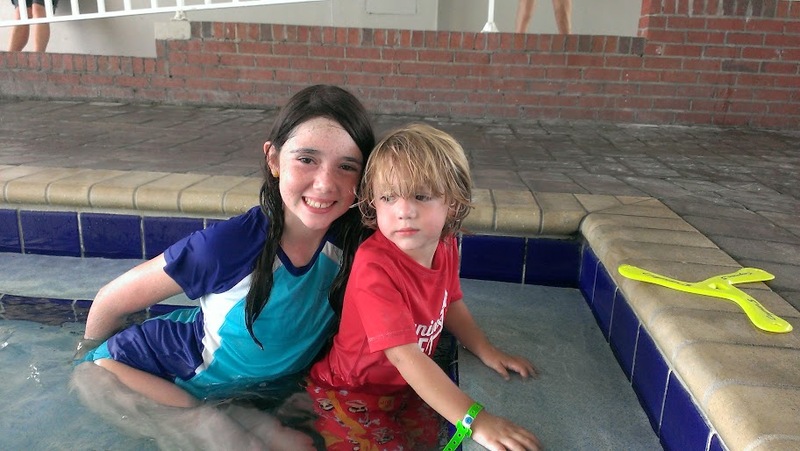 Since my family spent Mother’s Day at the TradeWinds, my kids were so excited to spend the day there again. As soon as we arrived at the resort, Allana and Emmalynn strapped on their all access resort wristbands and headed to Splash Island. Liam and I observed their Splash Island exploration from the shore, but not too long, because we had a date with a High Tide Water Slide on the beach. After their fill of Splash Island, Allana wanted test the paddleboard waters again. She had such great form and technique on the water that an older gentleman asked how she managed not to fall. She responded with impromptu SUP lessons on the water. Although she would make a wonderful SUP instructor, Allana will make also make great marine biologist or science teacher. While on the paddleboarding on the water, Allana found a Fighting Conch. This little guy definitely earned the “fighting” in his name because he desperately fought his way back to the Gulf. As to not torture the little guy more than necessary, we returned Princeton’s cousin back to his home in the ocean. Once the heat on the beach was unbearable, we escaped to the GoGo Squeez suite to escape the sun’s strong rays. 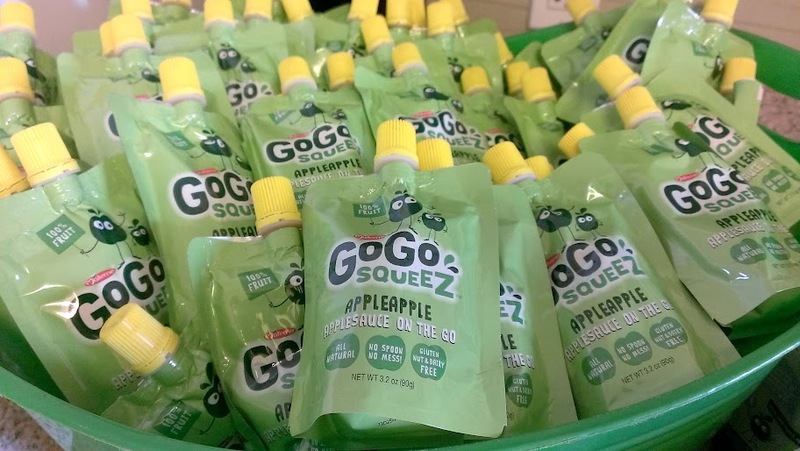 Our break from the beach and a sneak into to the GoGo Squeeze timed perfectly with lunch. It also seemed a good time for snow cones. Snow cones, GoGo Squeeze and some shade make a great combination. however, I preferred a different kind of refreshment. During this Tradewinds visit, I discovered a new cocktail called a Loaded Corona, a Corona with a shot of Barcadi Lime Rum. After lunch, we need another shade break so we made our way to the covered pool, one of seven pools on the resort. The kiddie pool adjacent to the KONK (Kids Only, No kidding!) Activity Center also offered some nice shade for my fair babies. While Liam and I splashed about in the kiddie pool, the big kids cruised along on the paddleboat. After their paddleboating adventure, the girls wanted to dig for sharks’ teeth since they didn’t find any during our last visit. This time they struck gold! Liam found some shells and shark bait. Hoo ha ha. “Little brothers are friends not food!” shouted Emmalynn as she beat up the shark that ate her brother. Nearby Captain RedBeard’s Pirate Show began, but since they were covered in sand, the girls chose to jump back into the pool, however, Liam decided to jump on the Bungee Trampoline. Evening thunderstorms ended our day early, but the memories of our TradeWinds Island Resort fun would last forever. 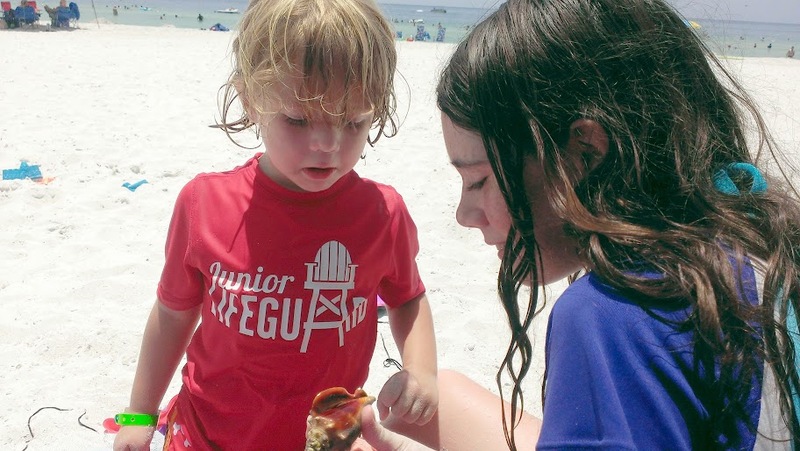 This entry was posted in bloggers, family life, Life, review, travel and tagged beach, children, Florida, fun, hotel, kids, Life, moms, musings, photographs, review, Run DMT, St. Pete Beach, summer, thoughts, TradeWinds Islands Resort, travel.